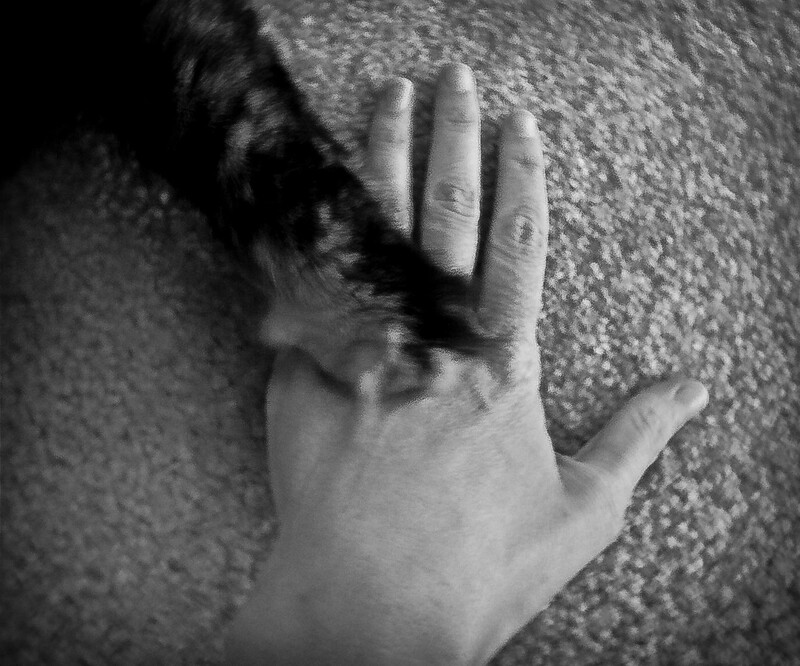 For this week’s challenge word I dug waaayyy back in my photos to one that is of my hand and my beloved cat, Tori’s, paw. It was an experiment when I got my first “digital” camera.It has special sentimental value to me today because Tori was diagnosed with chronic kidney failure in September of 2008 – at just over 4 years of age – when she spent 9 days in the vet ICU. She is still quite spunky and a Diva today – almost 4 years later! This entry was posted in Challenges, Weekly Photo Challenge and tagged animals, beloved cat, cat, cat paw, Found Round and about, hand, human hand, paw, photography, tisha clinkenbeard photography, Tori, Weekly Photo Challenge. Bookmark the permalink.